Retired Marine Corps Major General Charles Frank Bolden, Jr. will visit the Coast Guard Academy on March 27 at the 2019 Coast Guard Foundation Hedrick Fellow. The Coast Guard Foundation Hedrick Fellowship is a longstanding tradition of bringing world-renowned political, military and industry leaders to the Coast Guard Academy to share their wisdom with cadets. The fellowship program was founded by an endowment from Frank E. and Harriet E. Hedrick in 1982 to bring influential Americans to the Academy in New London for the purpose of interacting with cadets and the faculty in both formal academic seminars as well as informal settings. While at the Coast Guard Academy, General Bolden will participate in cadet-led academic seminars and attend a dinner in his honor. General Bolden will deliver the Coast Guard Foundation Hedrick Fellowship Address to the corps of cadets in the evening of the 27th. Bolden served as NASA Administrator from June 2009-January 2017; he was the second astronaut and the first African-American to head the agency on a permanent basis. General Bolden served in the Marine Corps for 34 years, including 14 years as a member of NASA’s Astronaut Office. After joining NASA in 1980, he traveled into orbit four times aboard the space shuttle between 1986 and 1994, commanding two of the missions and piloting two others, logging 680 hours in space. Today, he serves as the President and CEO of the Bolden Consulting Group. He is a graduate of C.A. Johnson High School in Columbia, South Carolina, and earned a Bachelor of Science degree from the U.S. 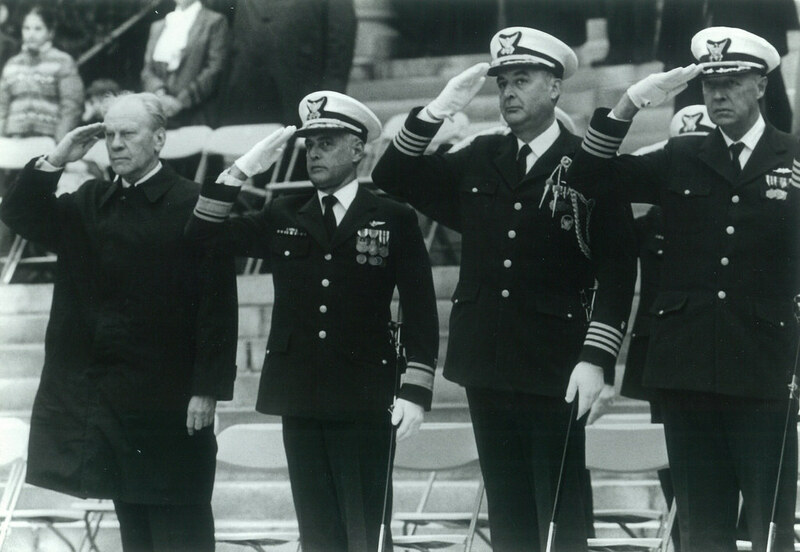 Naval Academy in 1968 and a Master of Science degree from the University of Southern California. Featured photo: The U.S. Coast Guard Academy Corps of Cadets holds a sunset regimental review, May 20, 2018. The sunset review is one of the final regimental reviews for the Class of 2018 before they graduate this Wednesday. U.S. Coast Guard photos by Petty Officer 3rd Class Nicole Foguth.